Today’s technology and manufacturing processes create a product that will look stunning and last for many, many years. Whether it be an entire home, one wall, or select areas around the home, your exterior appeal will be the envy of all your neighbors. 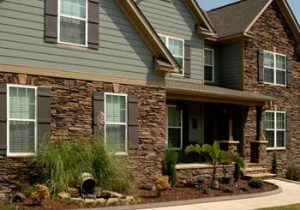 Manufactured stacked stone is a versatile, affordable, and maintenance-free product that comes in various styles and colors. It’s sure to add character to any home, cottage, or commercial property. Call today for a free in-home estimate.